Has work been getting you down lately? Feeling a little bored with the day-in, day-out of your routine? Is your office beginning to too closely resemble the desolate moisture farms of Tatooine? Well then, you’ll feel just like Luke when you slip into this outfit--ready to escape the desert and embrace your destiny as a Jedi Knight. Obviously, the shock of your father being the biggest bad guy in the Galaxy will be a bit rough, but with some training on Dagobah from Master Yoda himself, you’ll be prepared and ready to face him. 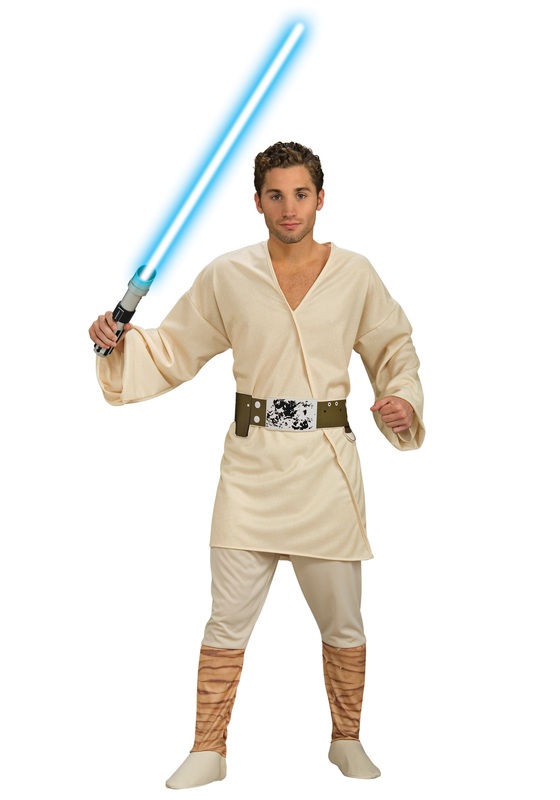 Yes, The Force will be strong with you when you’re decked out in this Luke Skywalker Adult Costume. Just make sure to first track down your lightsaber from Old Ben--we mean, Obi-Wan--in accounting down the hall. The two of you might want to head to the water cooler by HR for a quick ride outta there with Hans and his finance guy friend, the one with the beard and funny laugh? The four of you will fit easily into Hans’ SUV; she might not look like much, but she’ll get you to the Rebel Base in record time, or, at least to the nearest Halloween party, where you can plot the next steps of your adventure. This officially licensed, cream long-sleeve tunic with its matching pants and attached foam boot covers will have you ready to shoot womprats in your T-16 or nail exhaust ports on the Death Star in your X-Wing (with a little help from your friends, obviously). Just don’t let Tatooine’s twin suns--your two fluorescent desk lamps--hold you back from your greatest adventure before you can even get it started.